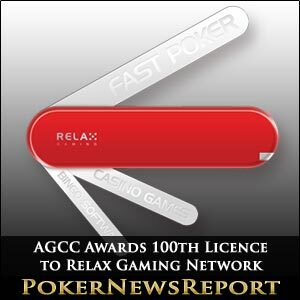 Relax Gaming Network Limited have become the 100th recipient of an Alderney Gaming Control Commission (AGCC) online gambling licence – just as the Malta-based company prepared to launch their Fast Poker game. Relax – who develop and maintain poker, bingo and casino software for gaming operators – joins an ever-growing list of companies to be awarded AGCC licences following the dark days of Black Friday last April when, among others, Full Tilt Poker (FTP), PokerStars and Absolute Poker were closed down by the US Department of Justice (DoJ). Alderney head of e-commerce Robin Le Prevost reckons this latest, momentous licence award proves that the Channel Island is “the place to be” for businesses involved in online gambling, while also adding that the AGCC maintain “very high standards” when considering which firms to give licences to. Many experts within the gambling industry, as well as players, might not support that belief, however, after the fiasco that was the Full Tilt Poker saga, which saw the poker room’s licences revoked and suspended in September of last year following the DoJ’s decision to pursue claims that FTP had been involved in illegal gambling, money laundering and bank fraud. Unfortunately, the AGCC had mistakenly trusted Full Tilt Poker’s reports that funds were available without performing their own audit of the poker website. 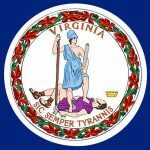 In fact, it eventually emerged that FTP’s funds were not available because of mismanagement and issues regarding third-party payment processors. FTP players will certainly not forget how laboured AGCC’s efforts were then – although Le Prevost is adamant that no damage has been done to the British Crown dependency’s industry. In fact, Le Prevost claims he has received massive backing from other, unnamed, jurisdictions over the manner with which the AGCC acted. Meanwhile, Relax – which have subsidiaries and the majority of their staff in Estonia and Finland – is the latest speed poker game to be launched in recent weeks, following in the footsteps of Zoom Poker from PokerStars. Fast Poker – which Relax hope will fill the gap left by the demise of FTP’s Rush Poker when it is launched on iGame, Betsson and Unibet – really just appears to be a straight copy of the beleaguered poker room’s speed game, although Relax believe that this new product “should generate roughly four times the rake per casual player compared to traditional poker”. Relax provided this description of Fast Poker on their official website: “Instead of sitting down at a single poker table, players participate in a ‘player pool’. Whenever a player finishes playing his hand, either after showdown or by folding his cards, he is moved to a new table, consisting of random players from his player pool. The player can even fold his cards before it is his turn to act, and gets moved to a new table instantly, without his old opponents knowing it! “Compared to a traditional ring game, players can play much more hands in the same amount of time. This naturally leads to a much higher rake being generated per player and time unit, (while) at the same time it eliminates the need for multi-tabling. As you can see, Fast Poker and Zoom Poker have many identical functions, but Relax Gaming Network chief executive officer Patrik Österåker was still “thrilled to launch Relax Fast Poker Network together with some of the very leading names in the industry. 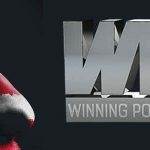 Additionally, iGame Malta Ltd chief executive officer Tobias Fagerlund stressed that his company “have expectations of Fast Poker” and pointed out that they will “run it on all our brands – iGame.com, 24hPoker.com and Pokerihuone.com – and consider Fast Poker as an important and vital part of our future strategy”. Fagerlund added that iGame believe Fast Poker “will revitalise the concept of Network Poker and become very popular amongst our many poker players”. We shall see if this becomes a reality as PokerStars continue to dominate the world of online poker.